Not to be confused with Maclay School of Theology. 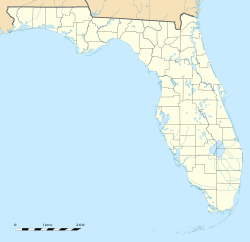 Maclay School is a private, not-for-profit, non-sectarian college preparatory school located on about 100 acres (40 ha) of land in Leon County, Florida, about ten miles (16 km) north of the state capitol building in Tallahassee, Florida. The school opened in 1968 as a segregation academy founded by a group of white parents in response to the federally mandated racial integration of Leon County Schools. Today, it is open to students of all races. It was named in memory of Alfred B. Maclay, Jr., a World War II veteran whose mother was a major benefactor; his father's nearby estate became Alfred B. Maclay Gardens State Park. Maclay is accredited by the Southern Association of Colleges and Schools (SACS), the Florida Council of Independent Schools (FCIS), and the Florida Kindergarten Council. Tuition for 2016-17 was about $12,000. Approximately 1,000 students are enrolled annually at the school, which includes all grades from Pre-K through 12. There are about 90 teaching faculty at Maclay School. Maclay School offers nineteen Advanced Placement courses. The campus at Maclay is a non-traditional school yard. The four schools on the campus are divided into Pre-Kindergarten (3- and 4-year olds), lower school (grades K through 5), middle school (grades 6 through 8), and high school (grades 9 through 12). All four of the schools on campus use the same library, cafeteria, and gymnasia. In 2011 a new Pre-Kindergarten was built on campus to allow for more room for the growing 3 & 4 year old programs at Maclay. Lower School students at Maclay School celebrating Grandparents Day in 2008. The Maclay PreKindergarten and lower school are housed in two separate buildings. The 3- and 4-year-olds are in a new $2 million facility made up of 8 classrooms capped at 12 students each. The lower school building is home to grades K through 5 as well as a technology lab, science lab and art room. Students have PE, Spanish, Computer, Music, Art and Drama on daily basis along with traditional subjects. The main office of the school and other administrative offices are also located in the lower school. Lower school students wear uniforms, unlike students in middle and upper school. Average class size in lower school is less than 20 students per teacher. The classrooms in middle and high school open directly outside. There are no major indoor hallways. In middle school the students are required to wear uniforms. The school is separated into three parts, one for each grade (6-8). In 2001 three new buildings were added to allow for more students to join the school. The upper school is divided into quads and, unlike the middle school, each quad is for a different subject, including: Math, English language, history and social science, and foreign language. The science department is in a different building. Twelfth graders are allowed access to the "Senior Shack", containing televisions and video game systems, as well as couches and lounge chairs. ^ a b "Private School Universe Survey". National Center for Education Statistics. Retrieved 12 January 2018. ^ http://maclay.org/domain/217, retrieved July 6, 2016. Private School Review for Maclay School. [permanent dead link] Florida Council of Independent Schools. This page was last edited on 5 January 2019, at 18:20 (UTC).